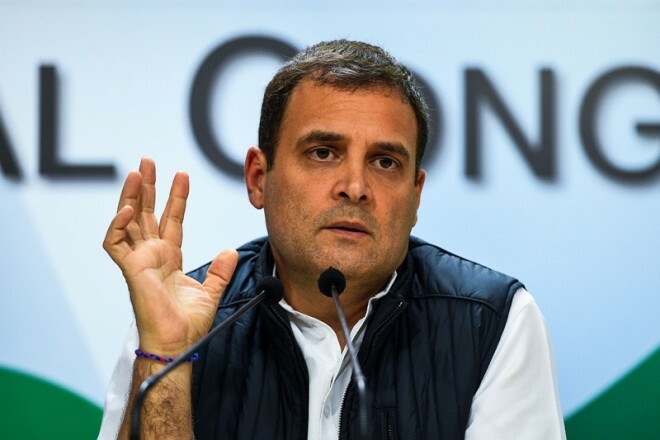 New Delhi, March 6: Congress President Rahul Gandhi on Wednesday met envoys of G-20 countries as also those of neighboring countries and raised with them India's concerns on cross-border terrorism emanating from Pakistan. The interaction over lunch was also attended by former Prime Minister Manmohan Singh, UPA Chairperson Sonia Gandhi, and Congress leader Anand Sharma. The Congress leaders outlined the party’s foreign policy stance during the meeting. The interaction comes days after India launched strikes on a terror camp in Pakistan following the Pulwama terror attack in which 40 CRPF personnel were killed. The air strikes were followed by an aerial engagement between the air forces of the two countries in which they lost a fighter jet each. The meeting, which was to be held earlier, was called off following the terror attack in Pulwama. Pakistan envoy was not part of the meeting.